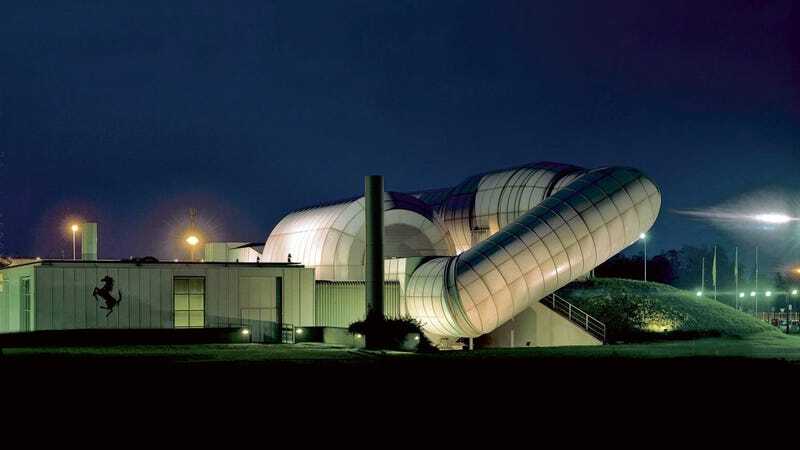 Built in 1997, the Galleria del Vento went through an 18-month refurbishment in order for the Scuderia to have a better chance against Red Bull in Formula 1. Inside, the airflow is created by a turbine fan with 2,200 kW of power, while temperatures remain as low as 33 degrees. The airflow hits half scale models at about 155 mph and can keep go to 93 mph for life-size models and real vehicles. Over 300 sensors and a conveyor belt synchronized with the wind speed helps make future Ferraris become faster than your brain.